Lewisburg - They came, they saw, and they sipped. 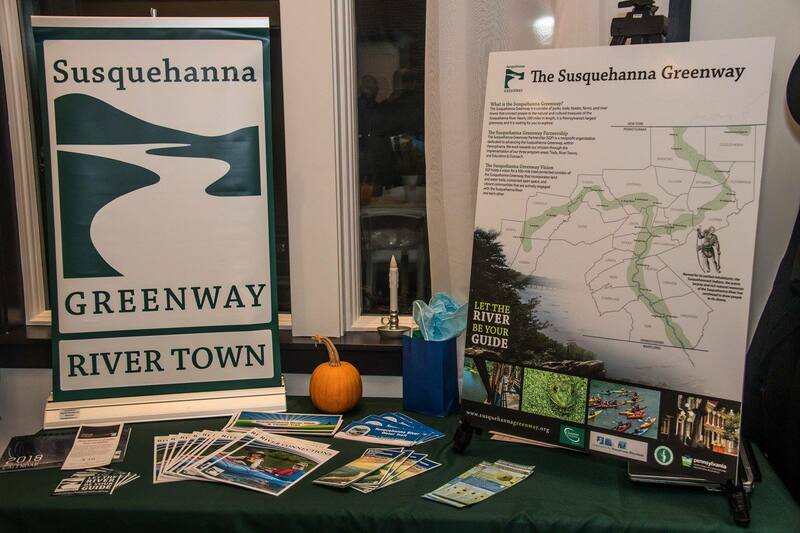 This past Friday, the Susquehanna Greenway Partnership (SGP) was joing by 40 fellow Susquehanna enthusiasts and partners at our annual Susuquehanna Scenes & Sips event. 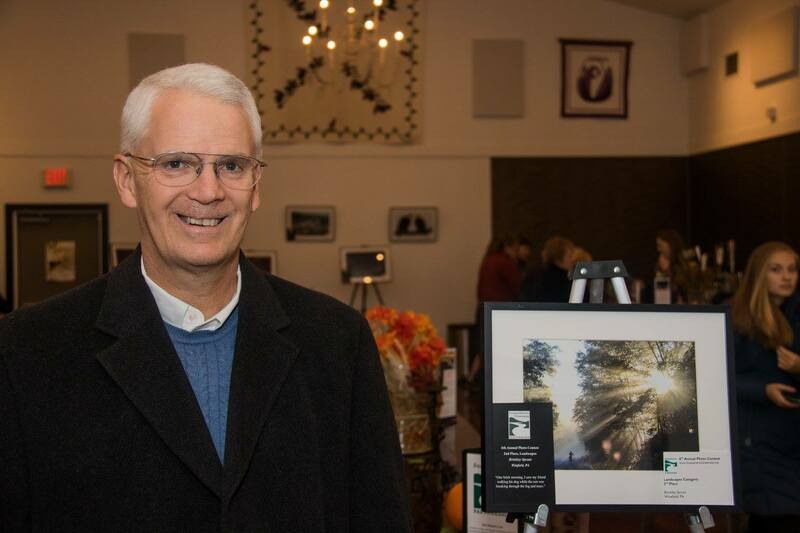 This event, which showcases the winningimages from SGP's Annual Photo Contest took place at Fero Vineyard & Winery in Lewisburg, PA.
Attendees enjoyed free tastings of Fero's award winning wines, tasty appetizers, and desserts; all while viewing the winning images from the 6th Annual Photo Contest. SGP holds its annual Photo Contest each Spring to highlight and bring awareness to the Susquehanna River's many landscapes and resources. Winning images are then printed, framed, and added to a traveling gallery that exhibits throughout the state. 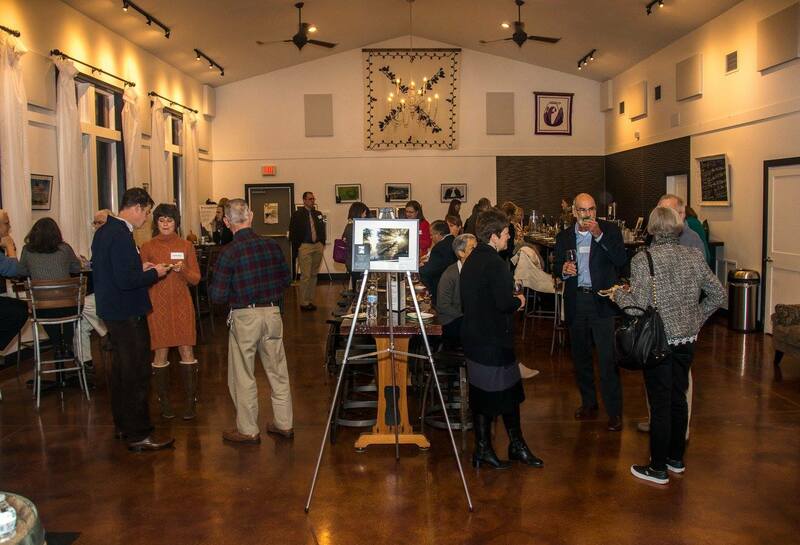 "The Susquehanna Scenes & Sips event is an opportunity for the public to connect to the Susquehanna River through visual media," says Director of Outreach & Volunteer Programs, Corey BeVier. "The Susquehanna River truly has some amazing scenes and places, and this year's winners showcase several in spectacular form." Attendees also enjoyed presentations on the Susquehanna Greenway from SGP's Executive Director Gail Kulp and Board Chair Jerry Walls, as well as learned about local successes and current Lewisburg projects from Sam Pearson from the Lewisburg River Town Team and the Lewisburg Neighborhoos Corporation. The Photo Gallery moves from different locations all within the Greenway. It will be exhibiting in Williamsport at the UPMC Susquehanna Health hospital this November and then it will be Harrisburg during December. Along with the Gallery, SGP has been selling calendars featuring the winning images. All proceeds will go towards the 7th Annua; Photo Contest which opens April 1, 2017. The Scenes & Sips event was held in conjunction with the 12th Annual Susquehanna River Symposium hosted at Bucknell University. SGP would like to offer a special thank you to the funders of this event; PA Department of Conservation and Natural Resources, Susquehanna Life, and Miexell-Diehl Insurance. The Susquehanna Greenway Partnership is a nonprofit organization dedicated to advancing the Susquehanna Greenway, which is a network of conserved lands, trails, and communities that run along the Susquehanna River within Pennsylvania. Our mission is to envision,create, and sustain a greenway along the Susquehanna River, to high River Towns, and to enhance the lives of current and future generations. We work toward our mission throughimplementation of our three program areas: Trails (both land and water), River Towns, and Education & Outreach.